Twitter claims that running promoted tweets alongside TV ads is 36% more effective than running a TV campaign by itself. The results come from a marketing mix model (MMM) for the telecoms market Twitter worked on with MarketShare Partners. Twitter partnered with Nielsen’s Marketing Analytics group to run a marketing mix model for 30 US Consumer Package Goods (CPG) brands using syndicated sales and media data through a smaller set of variables. 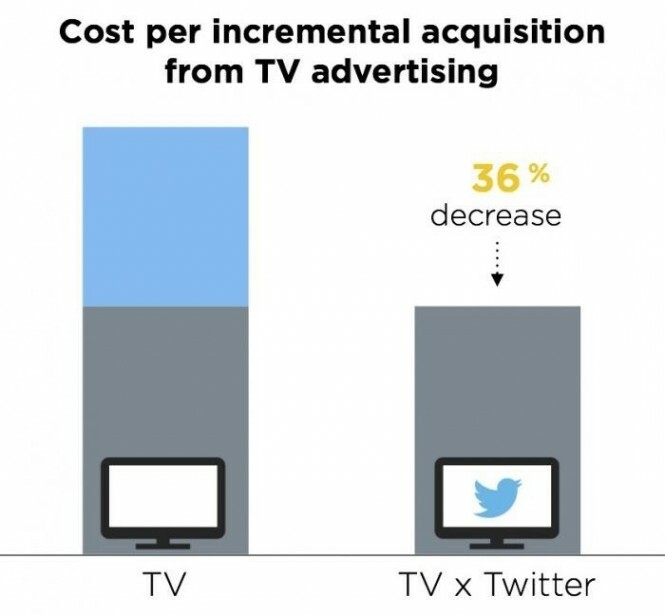 This found that when TV advertising is paired with paid-for Twitter media, on average, sales rose between 8 to 16%. Campaigns with both TV ads and promoted tweets benefit from 95% stronger message association. Launched for US advertisers earlier in the year TV conversation targeting is now available to all US and UK advertisers, with plans to launch in the near future in Brazil, Canada, France, and Spain. TV conversation tracking works by using conversation mapping technology to enable networks and brands to promote tweets to users engaging with specific shows. Previous results from Twitter have shown advertisers running both TV ads and promoted tweets benefited from 95% stronger message association, 58% higher purchase intent and 36% lower customer acquisition costs.